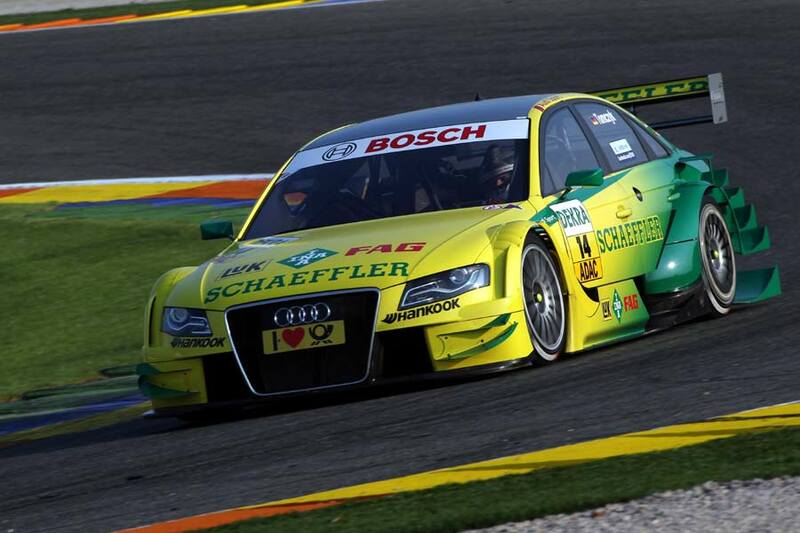 Audi had plenty to celebrate in Valencia this afternoon after Mattias Ekstrom won today’s DTM race, and Martin Tomczyk wrapped up the drivers’ title – in a one-year old car – with one race to go. 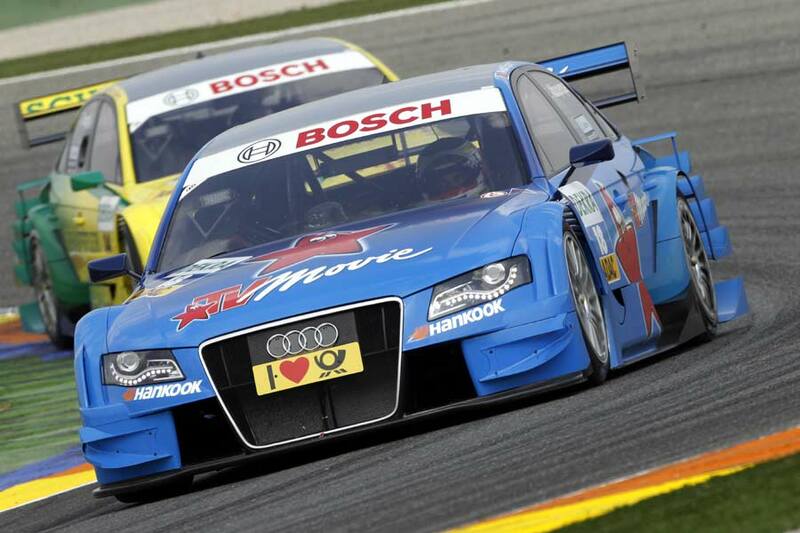 If that wasn’t enough, Audi also occupied the top six places. 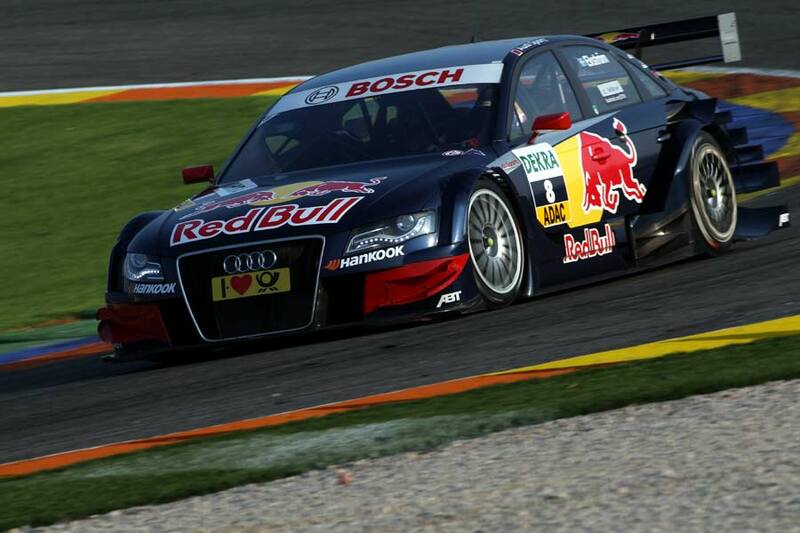 Ekstrom ran a flawless race, creating a five-second cushion between himself and the Rosberg Audi of Filipe Albuquerque, before pitting, going on to double that margin at the chequered flag. 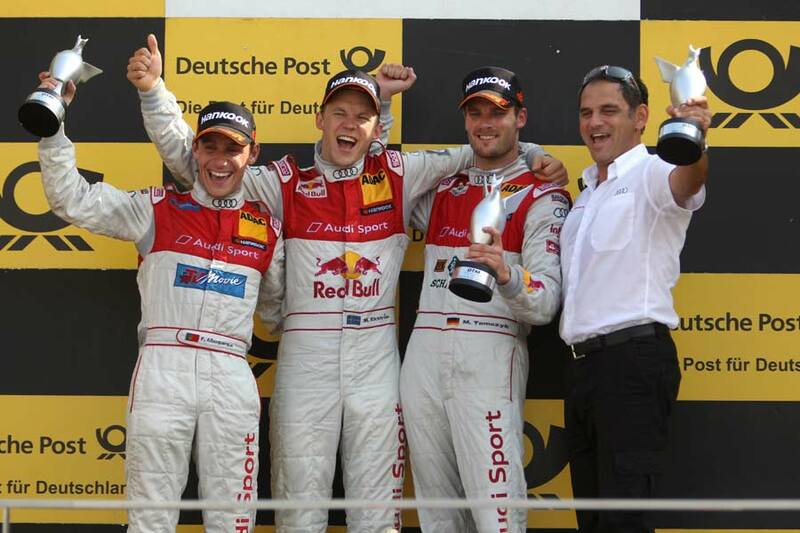 As impressive as Ekstrom’s third victory in four races was, the attention was focused on fellow Audi pilot Martin Tomczyk, who came home third to extend his lead to 13 points – enough to secure the 2011 championship. The Phoenix Audi driver had a pretty amazing start, starting from a lowly tenth on the grid, but climbing to sixth place – by the end of the first lap! The 29-year-old Bavarian eventually crossed the line, grabbing the third step on the podium – enough to put him beyond the reach of anyone else. This is the first time that a driver in an older-specification car has won the title. “I’m tremendously happy for Martin. 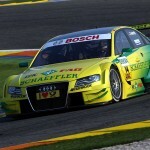 He has been a member of our Audi family in the DTM for eleven years and has experienced many ups and – no doubt – downs. But he has never lost his spirit and has emerged as a leader, particularly in this season.” said a delighted Dr. Wolfgang Ullrich, Head of Audi Motorsport.